If a dog’s diet is lacking fiber and moisture, the chances are it may develop constipation at some point in its life. A constipated pet may squat and strain unproductively for long periods of time. Chronic constipation can lead to complications, and make your dog listless and lethargic. Therefore, it is important to take some necessary steps to deal with the problem as soon as you become aware of it. Canine laxatives are not recommended unless other natural methods to cure a dog’s constipation are unproductive. Constipation can be easily remedied and oftentimes prevented by taking the following measures. The healthiest and most cost-effective way to treat constipation in a dog is to increase the fiber in its diet. This can be done by adding bran, oats, barley or peas to a dog’s daily diet. A diet rich in fiber can help to loosen stool and ease constipation symptoms. It can also help the animal’s digestive system. Feeding your dog a little pumpkin is another good way to cure dog constipation. Most dogs like pumpkin. You can either boil some pumpkin or open a can of pure pack pumpkin. Both are rich in fiber and moisture. Just add a little to your dog’s food. Hydration is an important key to keeping a dog’s bowel moving properly. If your dog does not consume enough water, it has a good chance of getting constipated. Dehydration can also lead to other complications. It is good to keep a bowl of fresh, clean water out at all times. Another healthy way cure dog constipation is to add ionic sea minerals in your dog’s water each day. The high magnesium content can help to keep a dog’s stool soft and easy to pass. Ionic sea minerals contains all the minerals found in the ocean. It supplies the important trace minerals that your dog probably isn’t getting in its diet. Sea minerals may also help to promote healthy digestion and absorption of nutrients. It is easy to get these minerals into your dog’s diet. Just add one drop to your dog’s daily water for every 2 pounds of its body weight. The majority of Americans are inclined to purchase a less expensive dog food. After all, aren’t they all pretty much the same? I recommend that you check the label. Highly processed grains and cereals in dog food are hard for a dog to digest and can trigger constipation. It is worth the effort to do a little research to find an affordable dog food that still has wholesome ingredients. It has been proven that a sedate lifestyle contributes to constipation. 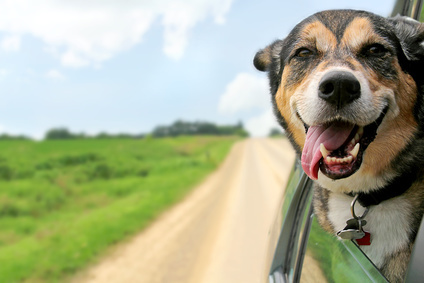 If your dog is inactive, find some ways to help it get some exercise. Increased physical activity will increase blood flow and the flow of nutrients to the internal organs. It will help to improve digestion. A fifteen minute walk or a daily play time will help to increase the speed that feces passes through the colon, decreasing the likelihood of constipation. Many puppies can swallow a lot of hair while grooming themselves. These digested hair particles can slow down or block a dog’s digestive tract, resulting in constipation. An over the counter pet hairball remedy can help to clean these out. Second, keeping your dog’s hair trimmed and short helps to avoid the hairball problem. Canned gravy can work as a quick fix for constipation, but remember not to overdo it. Slightly warm milk also serves as a canine laxative. Adding mineral oil or olive oil in to your dog’s food also helps in relieving constipation the very next day. Make sure, you add only a few drops to get the results. Excess may lead to diarrhea. Chicken and ginger broth work wonderfully to help cure dog constipation. Ginger aids digestive health and promotes intestinal movements. Also, the fats in the broth can help to move stool along. To prepare this broth, add ¼ teaspoon of ginger in ½ cup of chicken broth and let it simmer. Natural supplements such as folic acid and vegetable enzymes may be beneficial in cases of severe chronic constipation. In case the above mentioned remedies do not work, you may need the help of your dog’s veterinary doctor to find out why. There may be an underlying medical condition that is causing it. Do not give human laxatives to your dog. Prior to giving any laxative, talk to your vet. Your vet can help you choose the one that is best for your dog. If you notice any blood or mucus in your pet’s poo, make sure you see your veterinarian right away. There are numerous things that can cause constipation in a dog. To overcome this, try giving your dog a little fiber. Check the ingredients in your dog’s food. 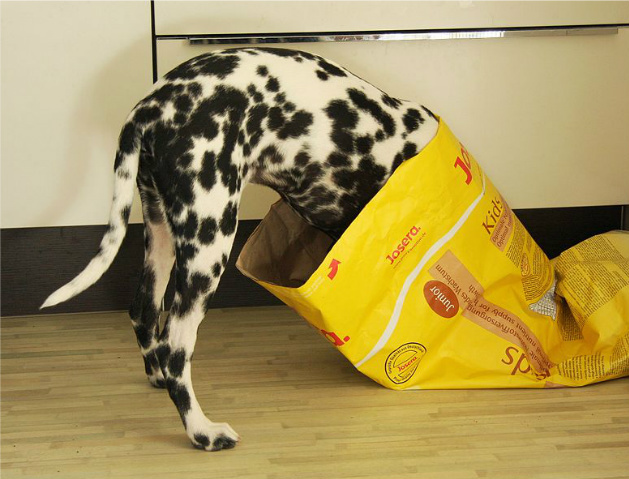 If it contains processed grains and cereals, consider switching to a more nutritious dog food. Adding a little bit of ionic sea minerals to your dog’s water each day is one of the best ways to help your dog overcome constipation.